Not many companies are more admired than Mary Kay, Inc.
Mary Kay Ash was the only woman profiled of twenty. What do Bill Gates, Henry Ford, J. P. Morgan, Mary Kay Ash, and Walt Disney have in common? Uncompromising vision, a willingness to take risks, and exceptional business acumen. Not only did these individuals amass great fortunes, they revolutionized the business world and helped shape society as we know it. 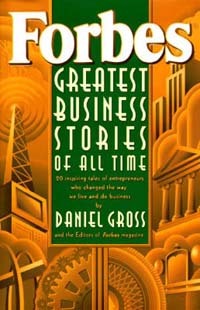 Forbes Greatest Business Stories of All Time draws on a wealth of sources to offer this priceless collection. The book brings to life extraordinary achievements, many of them forgotten or little known: how Robert Morris, the preeminent merchant of the eighteenth century, financed the American Revolution with his personal credit; how Ray Kroc used a shrewd real estate strategy to turn a faltering hamburger franchise operation into a fast-food empire; and how Mary Kay Ash built a billion-dollar direct sales cosmetics company by preaching a message of economic empowerment to women. Mary Kay Ash viewed her company as a family; who talked of P&L not as Profit & Loss, but ‘People & Love.’ You’ll see how the Mary Kay Way can make enthusiasm, integrity, laughter, and excellence an everyday part of you organization – along with extraordinary growth. Researchers at Baylor University and Center for the American Idea polled experts to determine the top ten entrepreneurs, the top female entrepreneur and the top minority entrepreneur in American history. Who do you believe to be America’s greatest female entrepreneur or businessperson? Who do you believe to be America’s greatest minority entrepreneur or businessperson? Responses were tallied and ranked. 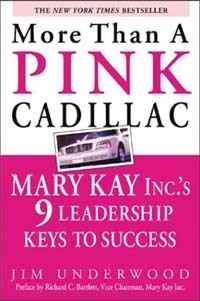 “It’s no secret that Mary Kay Inc. – home of the famous ‘Pink Cadillac’ – is one of the most successful companies in the world, prompting Harvard professors and US government agencies to study what makes the company a global phenomenon. But what many may not realize is that Mary Kay is much more than a Pink Cadillac. This company stands for something bigger – a way of doing business with a personal concern for people that has made Mary Kay a different kind of company. Pink Biz says—CHOICES is the key word here. 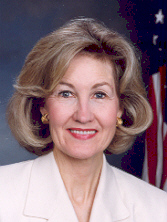 Modest women with grand expectations, based on CHOICES. How true!!! That just blows my mind everytime I read it. We are part of such an amazing company! I forget how much I take that for granted. You are on a blogging roll. I LOVE IT!!!!!!!!!!!! You are such an inspiration and motivation to so many of us! Oh, thank you mkheart! It is a pure joy to share. We all need an encouraging word or thought. Puts even a little jumpstart in my day too!